I like the printable valentines that we can find on the internet these days. A friend showed me this one, available to customize and purchase at the Etsy shop, Olliegraphic. You can make a girl or boy, then choose hair, eyes, skin color, saying, etc. Then (after paying), you just print out as many as you want. Love it. 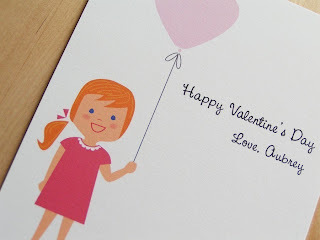 I'm looking around for more printable Valentines and I'll post my favorites over the next couple weeks. Let me know if you find great one!